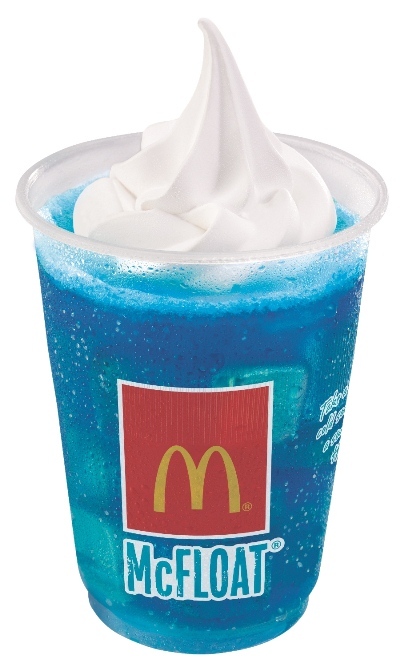 Have a Smurf-tastic experience at McDonald’s with Smurfs 2 Toys and Desserts! 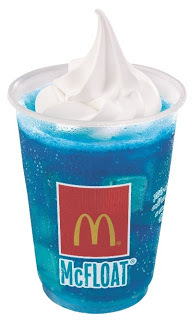 It’s time for a Smurf-tastic experience at Mcdonald’s. Yes, go ahead to the store near you as the cast of Smurfs 2 makes your next visit a little more exciting. Collect Smurfs 2 toys every Happy Meal and try the limited Smurfs 2 yummy desserts to cap your meal. And oh, the interiors in select McDonald’s stores in Metro Manila have been Smurf-ized, too! 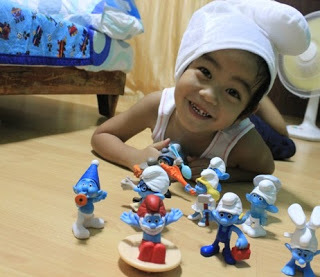 The boy went home wth a wide smile coming from the celebration of the Smurfs 2 Happy Meal at Mcdonald’s Greenbelt Party Place last Saturday as he very much loved what’s in his loot: the 12 Smurfs 2 Happy Meal toys. Kyle having a smurf-tastically awesome morning with his new Smurfs 2 toys. Say hello to the new 12 Happy Meal toys. Do collect love Papa Smurf, Jokey, Smurfette, Brainy, Greedy, Hefty, Clumsy, Party Planner, Baker Smurf, Handy, Vexy and Hackus. 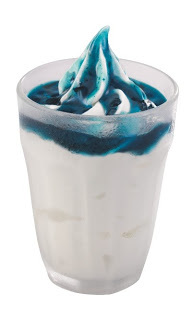 Mcdonald’s is also currently serving Smurfs 2 desserts that are available for a limited time only. Do try them now while they are still available. Try the refreshing taste of fizzy soft drink with the goodness of vanilla soft-serve sundae and blueberry syrup with the Blueberry McFloat. You might also like the smooth and creamy vanilla soft-serve ice cream with sweet blueberry syrup with the Blueberry Sundae. My son liked this. My personal choice -the yummy Strawberry Oreo McFlurry . 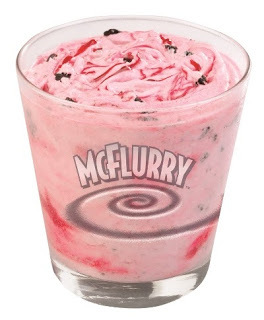 This strawberry flavored vanilla soft-serve sundae mixed with crunchy Oreo bits is really good. All these desserts are available via Dine-In, Take out, Drive-Thru or McDelivery (86-2-36 or mcdelivery.com.ph).